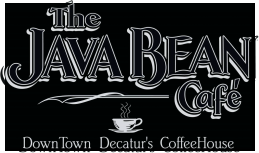 Are you interested in joining The Java Bean Team? If so, please read the following and then submit the required information. If, after reviewing your information, we feel that your skills match what we are currently looking for we will contact you. Thank you for your interest in The Java Bean Cafe! *We are currently accepting resumes for a part-time Barista position. The Java Bean Barista sells and creates coffee beverages following our standards providing outstanding customer service through product knowledge. - Demonstrate working knowledge of drip coffee, cold beverage, espresso bar and pastry stations. - Educate, sample and serve customers products. - Opens and/or closes Cafe following appropriate checklist, verifies completion with Manager on Duty prior to leaving the area. - Produce and present freshly prepared products following recipes while meeting speed of service standards. - Maintain personal hygiene and professional dress code to comply with The Java Bean Cafe and Health Department standards. The Java Bean Cafe is an Equal Opportunity Employer. Please attach your most recent resume.